I’m a very lucky boy at Christmas. As we reach February, I am still able to comment on presents I received back in December. This one is a book with the title I have also given this post. The book is new but it has a period feel to it because it is a reprint of a book from more than 80 years ago. 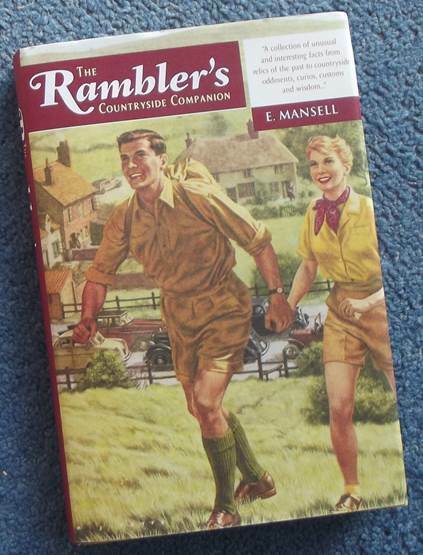 Of course, back in the 1930s rambling was the thing to do. It was healthy. It got you out in the fresh air and away from the grime of the city. And a book could point out interesting things and events to see and suggest areas to go to for a ramble. I was taken by a section on hops and hopping. Hops, of course, are used to flavour bitter beer. For me, Kent is the home of the hop although my wife, brought up for some tyears in Worcester, recalls locals describing the weather as ‘proper hop picking’. I have picked hops myself, assisting family members who did this to earn a bit of extra cash. I recall it as being hard, dirty work. I also had ancestors who were agricultural labourers in Kent. They must have worked in hop gardens. I wonder if any were ever stilt men. One is shown in the book. I’d love to think that my great great great grandfather, Edward Wright might have been a stilt man. He lived at Boughton-under-Blean quite near Faversham in Kent, an area thick with hop gardens. Let’s finish with an extract from the book. 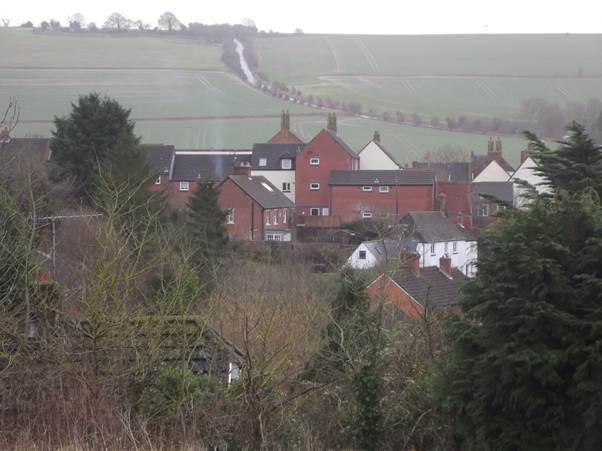 If your wanderings take you into the hop-growing districts of Kent, you cannot fail to notice the quaint brick buildings that are scattered over the countryside very like giant candle-extinguishers. They look like structures built to stand for centuries and will undoubtedly outlast many a modern building. Sometimes there is but one in a hop-garden, often two, occasionally three and on large estates six or eight peep above the bines and orchards. They are what are known as Oast-houses. Oast is a word meaning kiln, and these quaint buildings are the kiln-houses in which the hops are dried. Kent is not the only county in which you will find hop gardens and oast-houses. True they are more numerous and the gardens far more extensive than in other counties, but Sussex, Surrey, Hampshire, Herefordshire and Worcestershire all have large areas of fertile land for the cultivation of hops. In the last named county the gardens are usually spoken of as yards. There is considerable variety in the design of oast-houses, but they are easily recognised by their conical roofs and white painted cowls, with the long, projecting vane that keeps the opening in the cowl turned away from the wind. In Kent, most of the oast-houses are circular in form, a shape that ensures more equal weathering and less resistance to the high winds. It’s always good to know I’m not the only hoarder of old items in the house. I daresay my wife would say, ‘Ah, but the stuff I hoard may be useful one day’. 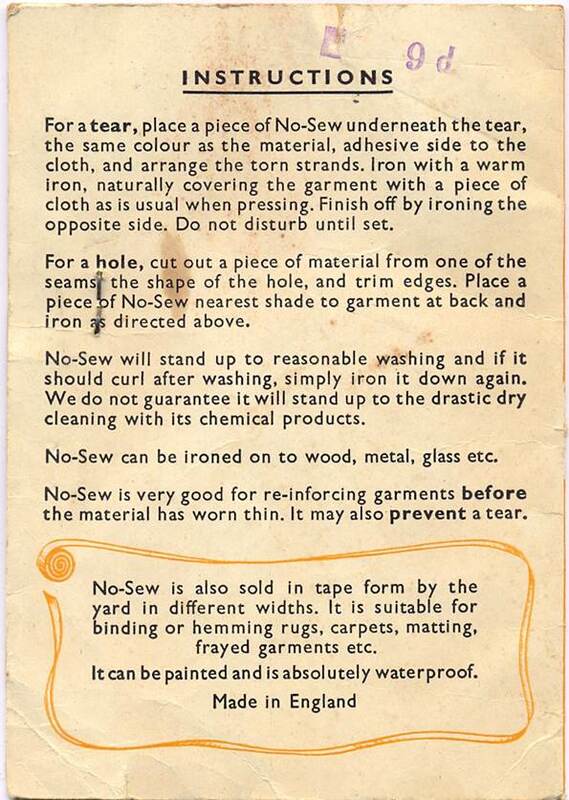 And she might point out that something very similar to ‘No-Sew’ has just been useful in mending an old shopping bag..
Here’s the front of the ‘No-Sew’ packet. Aha! 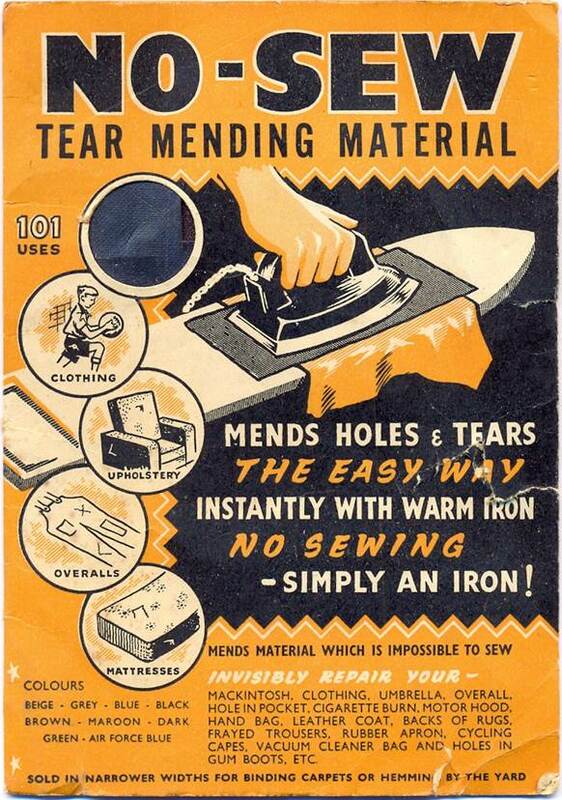 It is iron-on tape which, allegedly has 101 uses. It lists 16, all of which could be summarised as ‘cover over holes in fabric’. What makes this packet amazing is its age.. Let’s look at the other side. The thing to notice is the price stamped on at the top. It says 9d. That’s nine of our pre-decimal pennies. We introduced our decimal currency in 1971 so this ‘No-Sew’ has been about since before then. 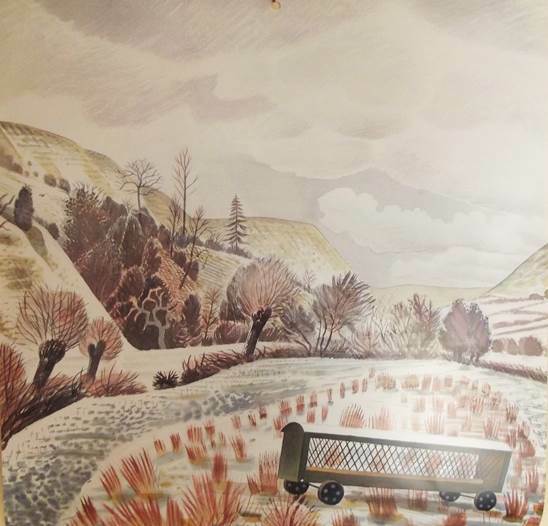 I have mentioned Eric Ravilious before on my blog. He was an artist. 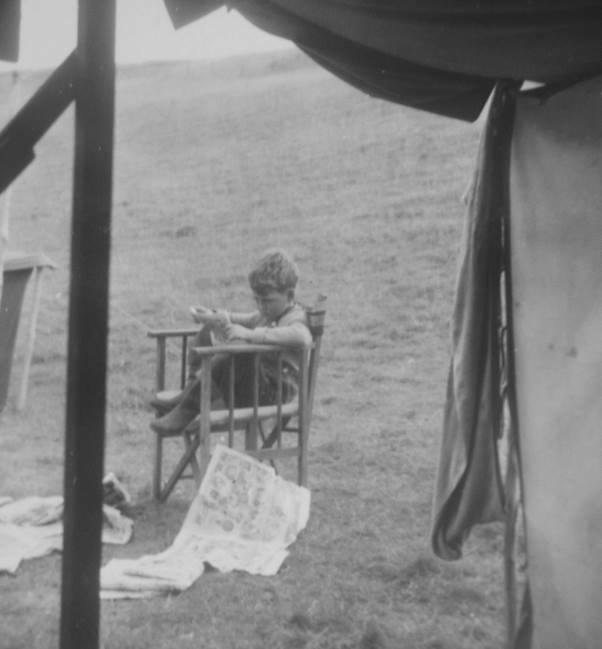 Before the Second World War he spent some time on the farm – the place my family camped in the 1950s and 60s. A number of his works of art featured places I came to know well. Not surprisingly, his depictions of the familiar became favourite pictures of mine. From that I came to a real appreciation of his style and he became a favourite artist. During World War Two Eric became an official war artist. Sadly a plane he was in crashed in the North Sea near Iceland. Ravilious was killed and his career came to an untimely end. More recently his work seems to have reached a wider audience. Many books have been published and for 2014 there is a Ravilious Calendar. Before January is out, I thought I’d share the picture for the month – for yes, I was bought a calendar for Christmas 2013. Eric called this ‘New Year’s Snow’. No specific location is given but I certainly don’t think it is the South Downs. The hills we see are too steep and too angular for the sumptuous curves we get on chalk land. But it is, without doubt a typical Ravilious water colour. He produced it in 1935. There could be more of these to come! As a happy nerd, I rather like the extreme edges of the land. 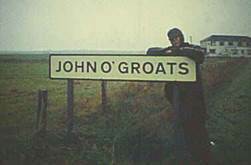 John o’ Groats, however, causes just a tad of irritation. Urban or indeed rural myth has it that John o’ Groats is the most northerly point on the UK mainland. That’s just plain wrong. Dunnet Head, a few miles to the west, is a couple of miles further north and holds that distinction. John ‘o Groats is a pleasant enough little place where a little harbour was created by a Dutchman called Jan de Groote back in 1496. He ran a ferry to Orkney, some 6 miles away across the Pentland Firth. However, John o’ Groats holds the imagination of most tourists. They feel it is a place they should visit- and indeed, I have, but only the once and that as long ago as 1970. And here’s a none too good photo of me, taken that year, to prove it. Yes, the weather was awful! More recently, in 2004, we were heading to Orkney, using the ferry from Scrabster, which is near Thurso, to Stromness. 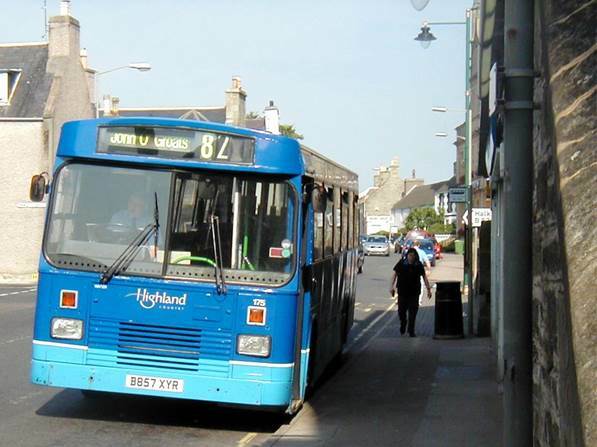 In Thurso I spotted a bus heading for John o’ Groats and snapped a picture. From my 1970 memories, I’d have loved it to have been a Macbrayne’s bus, an old Bedford with a big rounded snout, holding the engine in front of the driving position. We have seen one more recently, preserved on the wonderful island of South Uist (click here). Looking back, this is probably very much an equivalent vehicle in terms of antiquity. The registration plate letter of ‘B’ tells me that this bus dates from 1984/85 so was all but twenty years old when I saw it. I’m not sufficient of a bus nerd to be able to tell you anything about the bus except that the operator was clearly called Highland. By the way, it is still possible to travel by passenger (not car) ferry from John o’ Groats to Orkney. I’m told a very good day tour can be had. From time to time I return to the theme of ‘camp’. It represents both an activity and a place. The place was our little ledge on the South Downs between Lewes and Eastbourne. The activity was – well – just life really. I camped on that ledge for some period of every year from 1954 to 1968. In the first year I was, as A A Milne might have said, ‘very young’. In the last year I went with my girlfriend, as well as my dad and his second wife who was also a girlfriend at the time. The approximately 6 months of my life spent living under canvas on that remote ledge had an enormous impact on me – more perhaps than the 19 years or so that I had spent by then living in a house. When I think of childhood, I think of camp. One reason may have been that at camp, my brother was a good companion. Away from camp we were poles apart although we grew close in adulthood. His adulthood, though, was cut far too short when he died of cancer in his early thirties. Photos of camp remind me of those happy times and here is my brother – his name was Robin – back in 1954. There are some amazing things about this picture. My dad (a case of like son like father) was not the most artistic of photographers but this time he must have seen an opportunity to frame Robin using the entrance to the tent he was in. He has clearly caught Robin deeply engrossed in some reading. But perhaps the most amazing thing is that the pages on the ground have not blown away. Wind was almost always with us on the downs, but that day must have been an exception. I think it’s a lovely photo, albeit a little soft in focus. Well done Dad! We always do the big garden bird watch, run by the Royal Society for the protection of birds. We are lucky in where we live. We have no shortage of birds and we also have a big area. This year we operated from 9.30 in the morning until 10.30. You are supposed to count the birds that land (one’s in flight aren’t allowed) and report on the highest number you see of each species at any one time. It’s enjoyable to do. We start by checking the area close to the house where we have bird feeders. We don’t expect to see much at that time of the morning. The birds have had breakfast and tend to give the feeders a miss until lunchtime. Then we walk around our three acres in opposite directions. I actually had a problem. 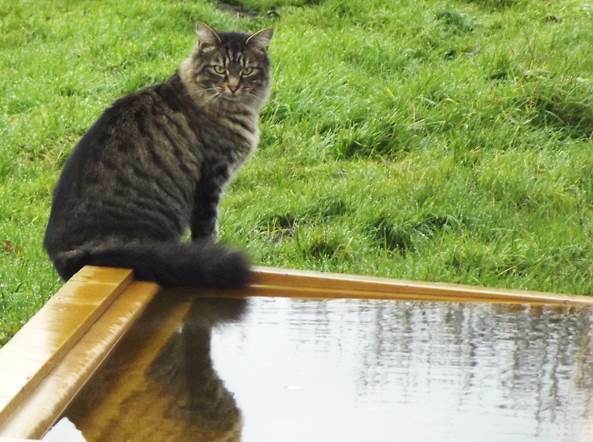 Our cat decided to accompany me and certainly made sure no birds would take a bath in this little trough. There’s time to enjoy the view. We can see the medieval church and beyond that, on the downs there are the terraces made by equally, or more ancient farmers who made some level strips for crop growing. 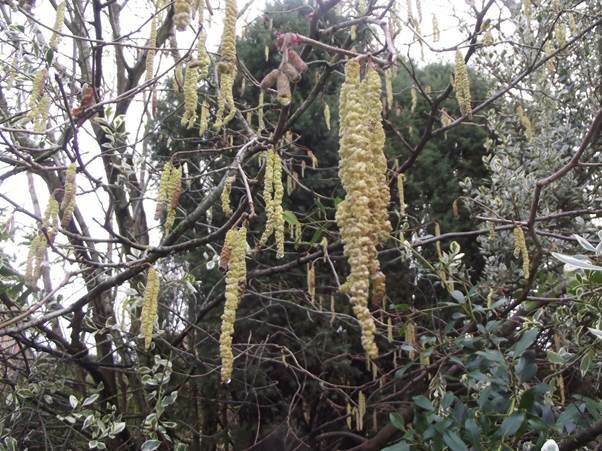 Catkins tell us that spring is on the way. Photographing birds was never going to be easy, particularly with a scary cat walking almost to heel. 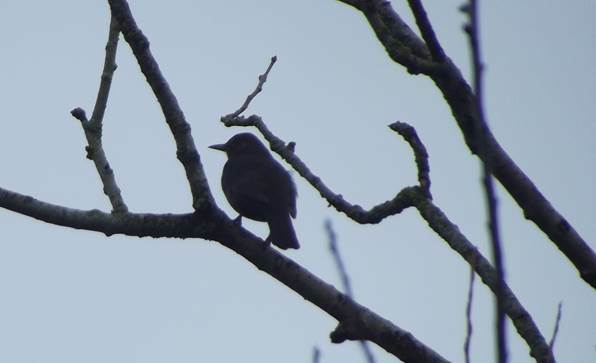 But blackbirds in profusion were arguing over territory and took less notice of potential threats as they sung their hearts out from the tree tops. 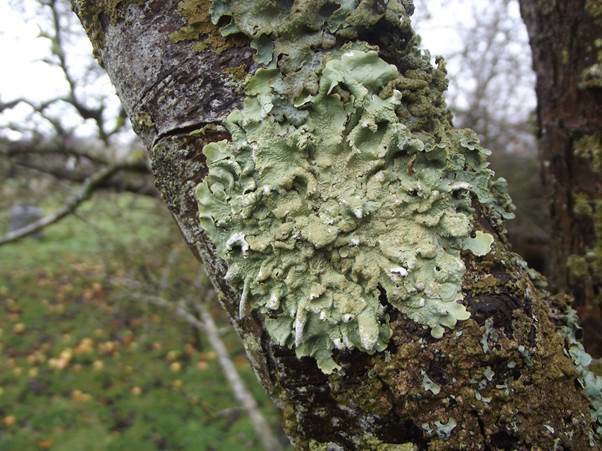 Lichen grows well in our area. 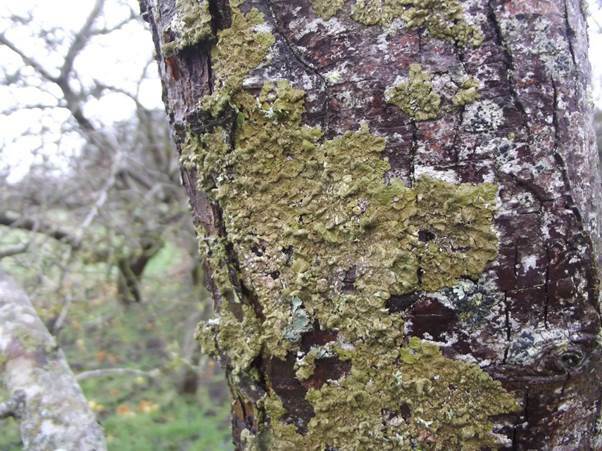 Some say it is a sign of unpolluted air. 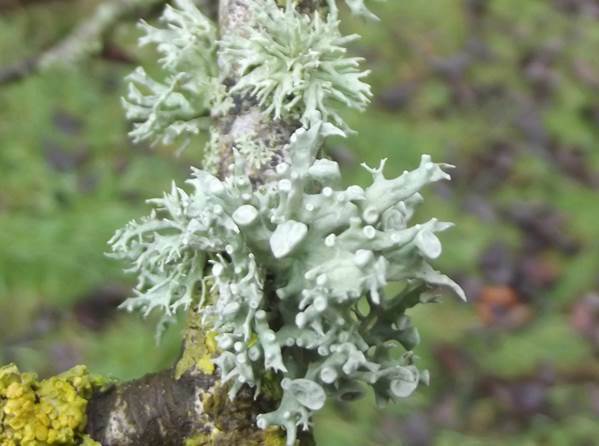 I know little about these strange plants, but here are three kinds growing on our fruit trees. A village view. The centre of the village has been redeveloped twice since the late 1950s. 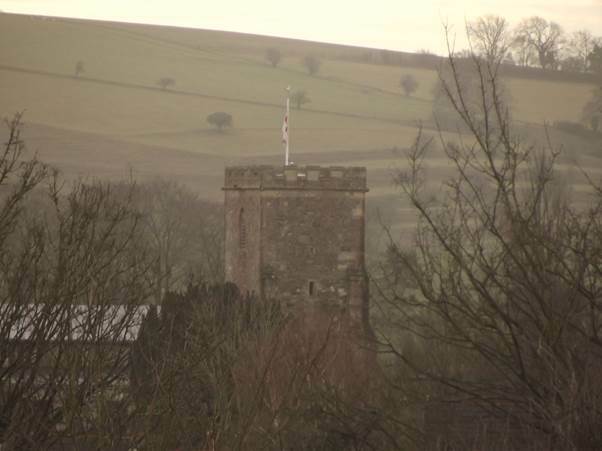 These days we think it is a shame the old medieval buildings were pulled down. But he doesn’t care. He just wonders why I have stopped. Now that’s an interesting building. It dates from the mid-19th century when the lord of the manor decided he should offer sporting recreation to his guests. This was his racquets court. It is a delightful family home now. 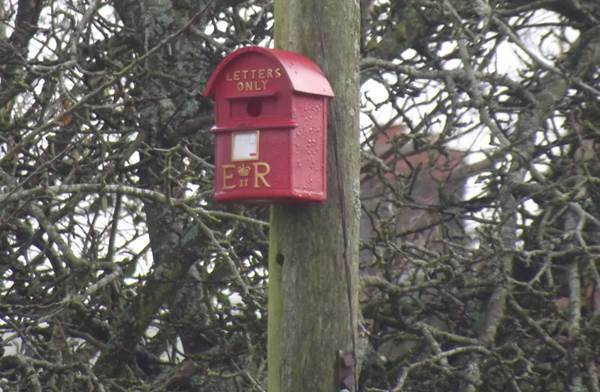 Not many birds – but I can finish with a bird nesting box which, actually, was a Christmas present a month ago. It is high up the pole to be well away of prowling cats! For the record, here’s what we saw in our hour. 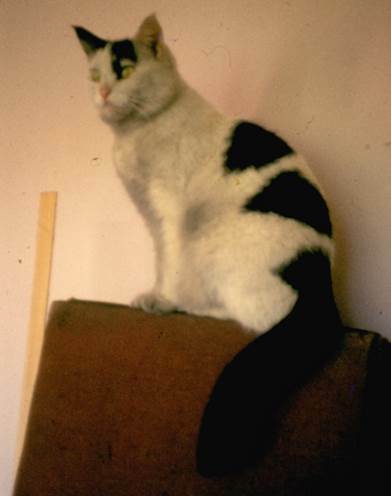 We have met our cat, Wilmot, before on this blog (click here). He was something of a lovable rogue, always willing to explore and rtry new experiences and completely amoral when it came to knowing what was his and what was not. Today we have a different story about him. It needs a bit of preamble. My wife and I married in 1971. By present day standards we were absurdly young but as we are still together in 2014, it can’t have been a mistake. We moved in to a brand new, all electric house on a little estate. Actually, I had moved in before we married and we lived happily there for the next five years. During that time, Wilmot came to join us along with his little kitten relative who, sadly, did not live all that long. Then in 1976 we moved to our present house. It was only a few miles from the previous one and we hired a van and a couple of friends and moved ourselves. During the move, we got Wilmot to the new house and shut him in the room we designated as ‘lounge’. There wasn’t much in there and there was no method of escape from it. Except that when we went in the bleak, bare room there was no sign of Wilmot. He had vanished. We, unused to fireplaces had forgotten that this was just the sort of place that Wilmot would explore. On hearing us a plaintive little mew was made and down he came, from the chimney. He was a decidedly dirty Wilmot. His filthy state doesn’t show well in a photo, but rest assured, what should have been white was now very much darker, well doused in soot. Not long after the move we were off on one of our canal boat holidays. 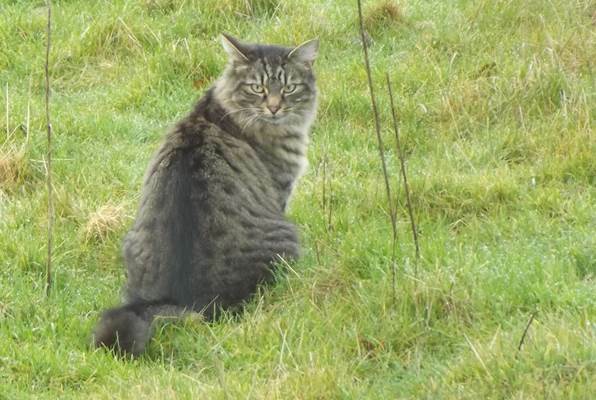 Being very new to the area, we used a cattery for Wilmot. He was probably bored there and spent a lot of time grooming himself. He came back spotlessly clean and then settled happily in the new home. Finding out about your family in past times is bound to make you interested in graves. It can be very pleasant to roam through a country church yard, on a cheery, summer day and search out relevant graves. The sheer scale of some municipal burial grounds can beggar belief. Hopefully there is a handy warden who can point you in the right direction. War graves have a special poignancy. Somehow the vast size of them really brings home the futility of war. It may be a bit of an old cliché but really there are no winners in wars. Last summer we were in France in a part much fought over in World War One, but not much occupied by the British army. This area, near Compiègne was fought over by French and German forces. As we are now in the year that marks the 100th anniversary of this war, let’s remind ourselves, here in Britain, that other countries were involved and lost thousands of their own young men for no particular purpose. 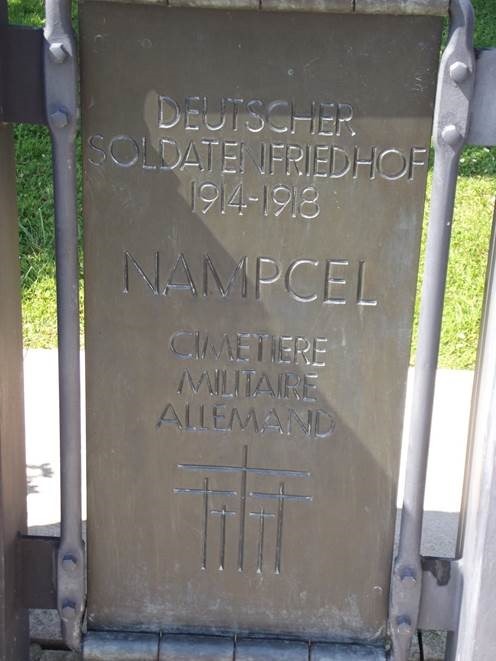 It happened that we came across a German First World War cemetery at Nampcel. 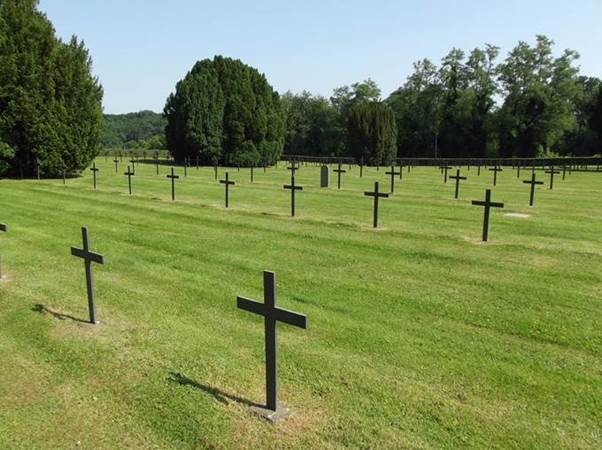 A staggering eleven thousand five hundred and twenty four Germans are buried here. 11524 – that is a huge number and they were killed in one little area of France, This is not the Somme, nor Flanders. That number really hit home. The cemetery, as you might expect, is enormous but seems spaciously laid out. This is just a small corner. Of a site which occupies some six and a half acres. Each cross carries the names of four Germans. Yes, there are two more on the other side. I lost relatives in World War One – probably virtually all of us did – but that other old cliché about them having died for their country has always seemed hollow to me. 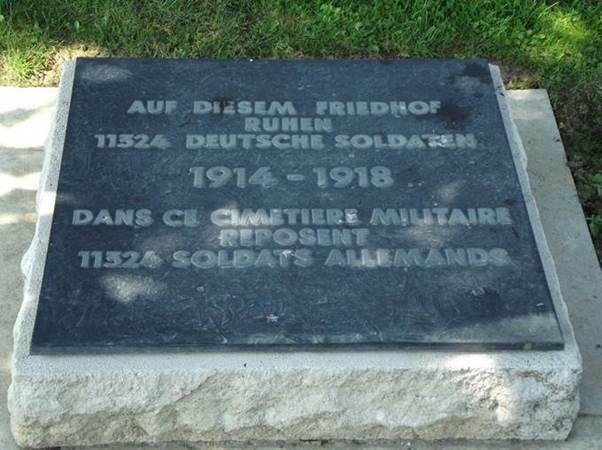 How much more hollow it must have seen to the mums, wives and girlfriends of these German men who died so that, in the end their country could be defeated. A cliché of the time was that this was ‘the war to end all wars’. Well of course it wasn’t. Just 21 years after this war ended we were all at it again but for the Germans there was a difference. Did you notice in the photo of the graves I put in, one distant grave doesn’t follow the pattern of all the others? Actually, there are quite a few like it in the graveyard. 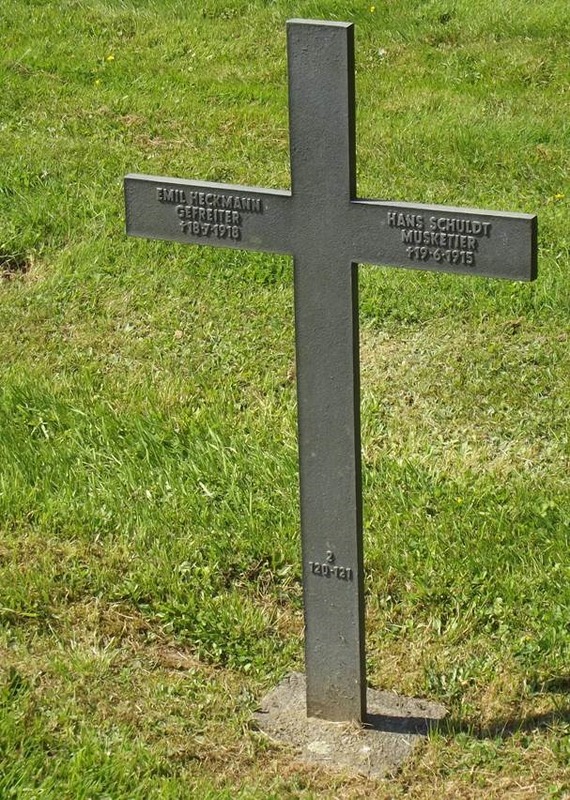 The German buried there did not follow the Christian religion so the cross was not appropriate for him. He was a Jew. 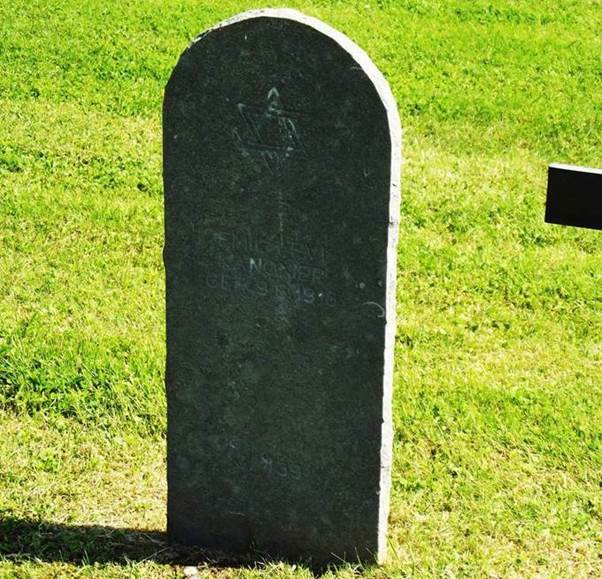 His memorial carries the Star of David as an emblem. This chap was serving his country as he thought, no doubt, correctly. He died ‘for his country’ and then twenty years later his country turned on his fellows, condemning them to the horrors of the gas chambers. If he had close family survivors one can only wonder how they view the value of his ‘sacrifice’. OK, I may have alienated half my readers by clearly being anti-war. But of course, most of the people actually fighting were pretty anti-war as well. That famous football match, on Christmas day 1914, shows that the front line men had no grudge against each other. They just had to do what their political masters told them to do and on that one day they dared to be themselves. I’ll finish with a quote from a favourite song. It’s called Red and Gold and was written by Ralph McTell. I know it as performed by the folk rock band, Fairport Convention. It’s actually about the battle for Cropredy Bridge in the English Civil War in 1644. I think the quote speaks for itself. Through the hedgerow’s fragile cover I saw brother killing brother And all of this was done in Jesus’ name. 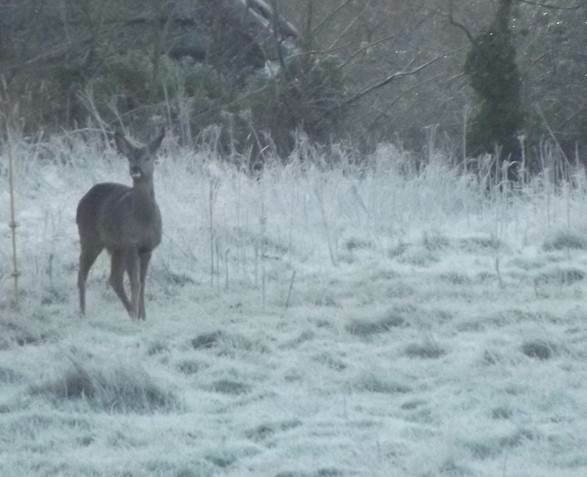 It was a cold and frosty January morning, just a few days ago when visitors appeared. 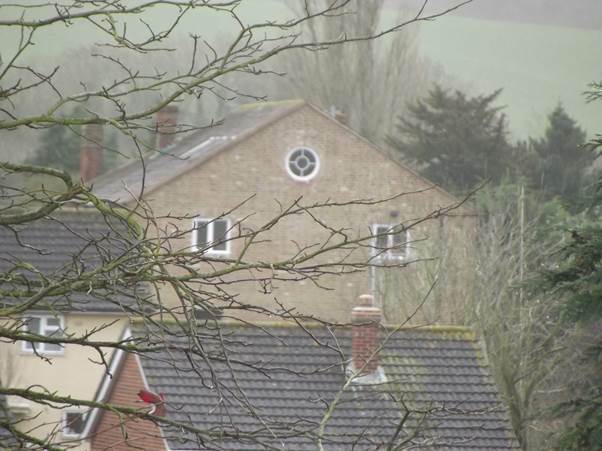 Our house just isn’t overlooked and when we built a bathroom in the loft we fitted it with a big, clear glass window. It truly is a window on our world. 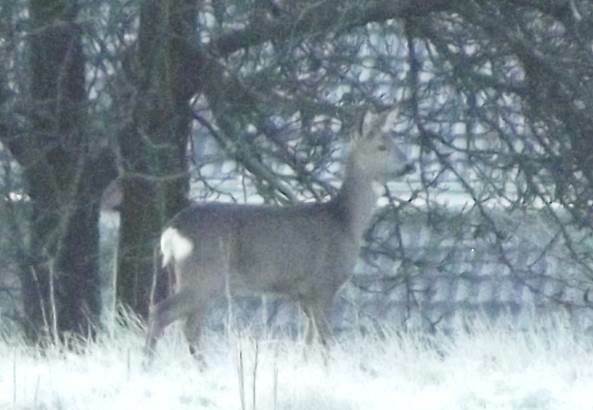 And when I was carrying out the morning ablutions I looked out of the window and down in the field I could see the unmistakable silhouette of a visitor – a roe deer. She was at quite a distance but looked to be very aware of my presence. I stole away and got a camera. 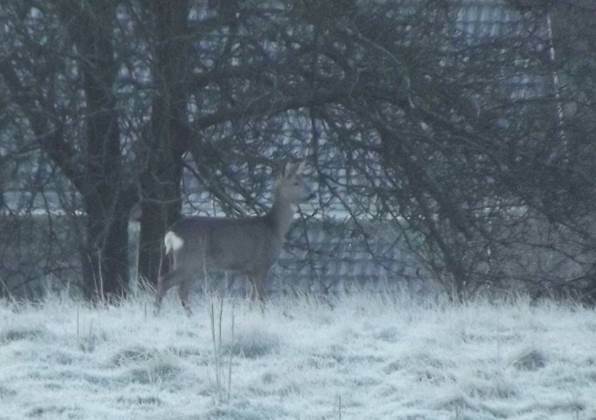 The deer had not moved. What a beauty, with ears pricked and listening and eyes alert – both senses, and no doubt that of smell as well ready to pick up the tell-tale signs of danger. Scanning around, I located her mate. He had got a dark background behind him and in those pre-sunrise moments he was hard to see. Here he is with a bit of digital jiggery-pokery to make him a bit more obvious. By the way, my assumptions regarding the gender of these beasts is just that – an assumption. This one was bigger than the other one and that is all I can say. I know I feel honoured and lucky to be able to see such animals from my bathroom window. Gosh. It is nearly a month since Christmas. One of my presents back then was a hex bug. These are cunningly engineered little ‘bugs’ which seemingly have no moving parts on the outside and yet they move forward. Inside the little beastie there is a small electric motor which drives an out of balance flywheel. This makes the device wobble up and down. It stands on flexible legs which point slightly backwards. When the flywheel pulls hex bug up the weight on the legs reduces and they move to a more upright position. As the flywheel moves down friction stops the legs from sliding backwards and the result is that the whole thing moves forward. Here’s a photo against a ruler so you can gauge the size. 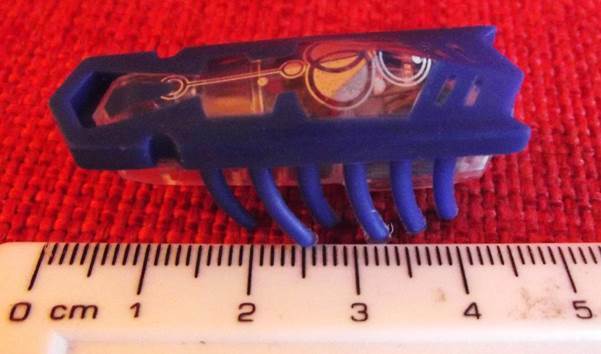 It is a bit less than 2 inches long and as you can gsee it has twelve legs. Of course a picture really doesn’t do justice – so click here for a video. In the video I have made a small barrier to keep Hex bug in place. Like the daleks, it’s not too good with steps. At first we see a nosey cat, interested in a switched off bug, but then I switch it on, upside down. Like all good bugs, this one can right itself. It does nearly turn right over in the film, but soon rights itself again.